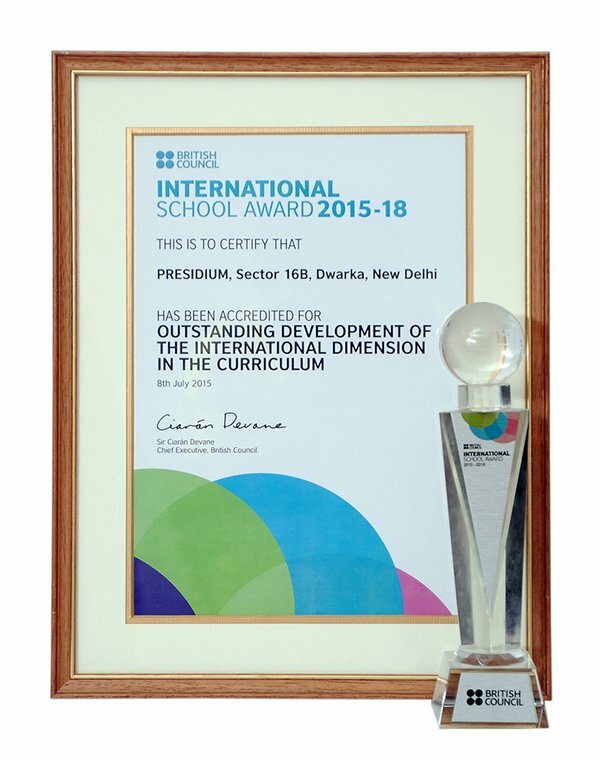 Presidium has been accredited by the British Council International School Award (ISA) for instilling a global dimension into curriculum. 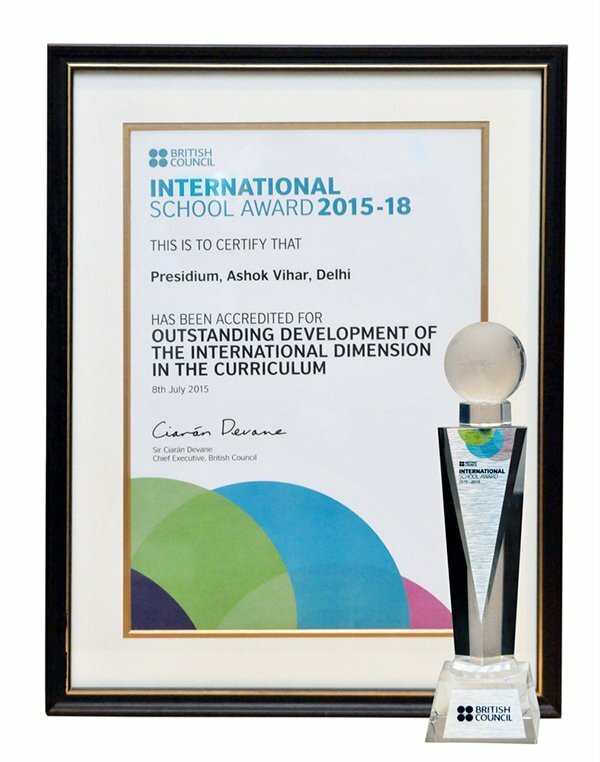 This award marks a positive impact on bringing up students with the awareness of cultures of other nations, while encouraging the understanding of their very own culture. 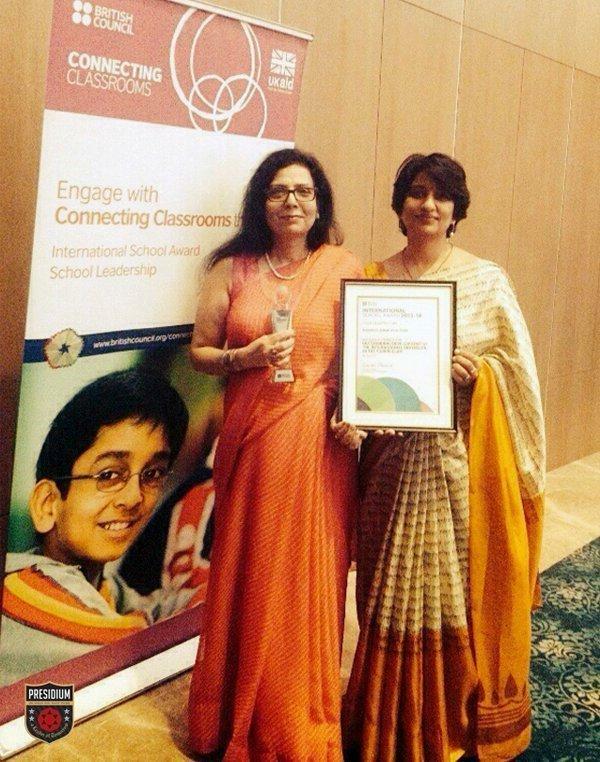 The ISA is a benchmarking scheme that accredits schools as having an outstanding level of support for nurturing global citizenship in young people as well as enriching teaching and learning. 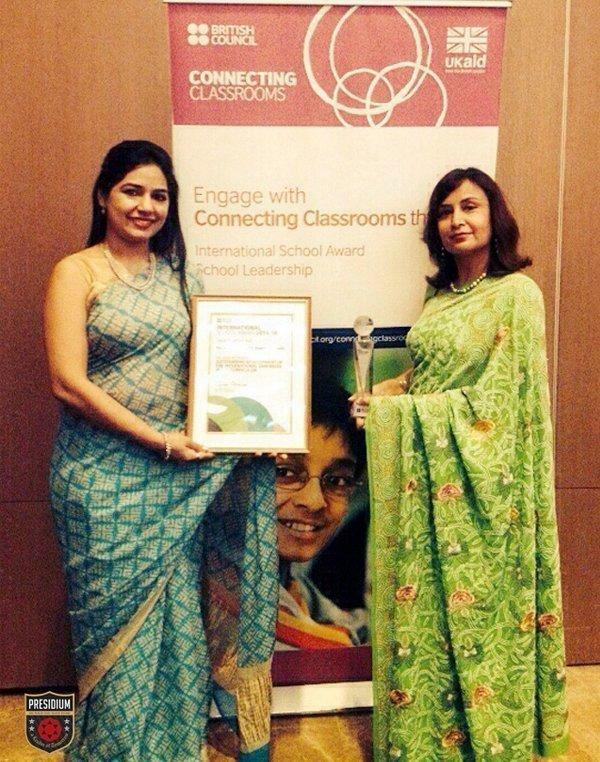 The award is managed by the British Council, which is the United Kingdom's international organization for educational opportunities and cultural relations. It creates international opportunities for people all over the world and builds trust between them worldwide. 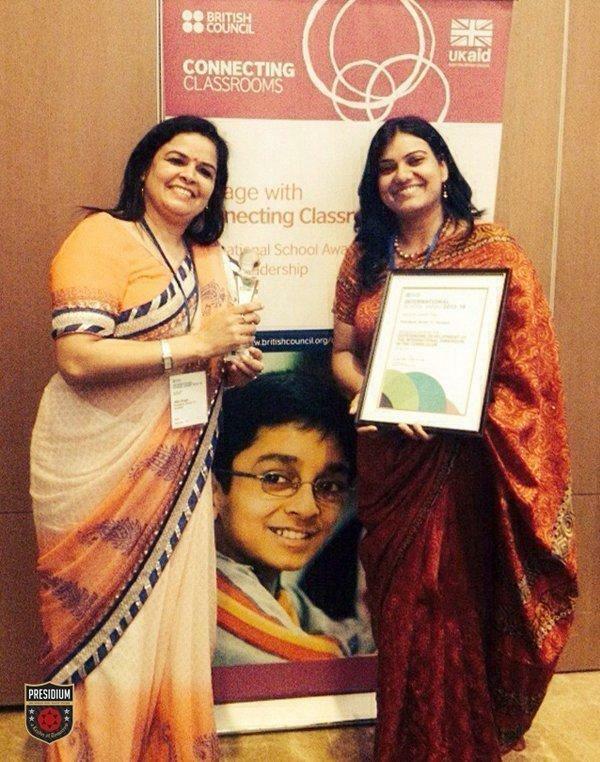 This award provides a framework for schools to develop an action plan and implement international activities throughout the year, and encourages schools to collaborate with overseas schools to create a rich learning experience for students through use of ICT, creative pedagogical practices and real context for learning.